Lain took a bold approach unlike any anime to come before or after it, with its thoughtful and well-researched incorporation of technology, its uniquely talented staff, its unorthodox presentation. 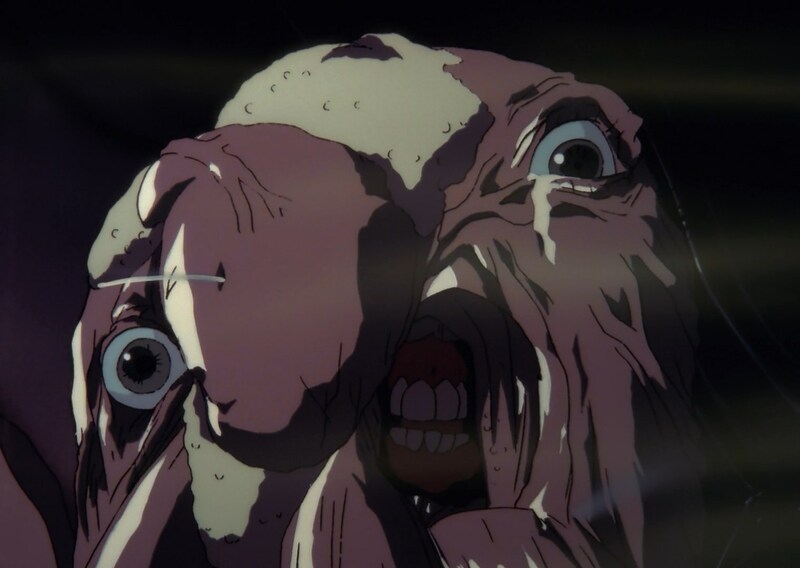 As the anime industry was preparing to make the switch from traditional cel techniques to digital animation, Lain sought to combine the two and create a hybrid aesthetic; the convergence of the digital and the analog perfectly suited its subject matter. And the story had the daring to match: a complex web of symbolism, philosophy, and ambiguity, a huge part of Lain’s lasting appeal is just how many layers it has, how many angles you can approach it from. You will notice something new about this show every time you watch it. And not just small details – each rewatch has the potential to completely change the way you understand and relate to the story, and it’s garnered no small amount of speculation from fans as a result. What’s interesting is, despite its status as a cult favorite that is still discussed and beloved to this day, I struggle to call Lain influential. With other influential works from the time, like Evangelion or Utena, you can clearly see elements from them that are “borrowed” by other anime down the road. Apart from later productions from its own creators, I can’t recall any anime that appear to directly take after Lain in any way (with the possible exception of Boogiepop Phantom’s audiovisual atmosphere and nonlinear storytelling). Even twenty years later, there’s nothing else quite like it (quite a feat in itself). 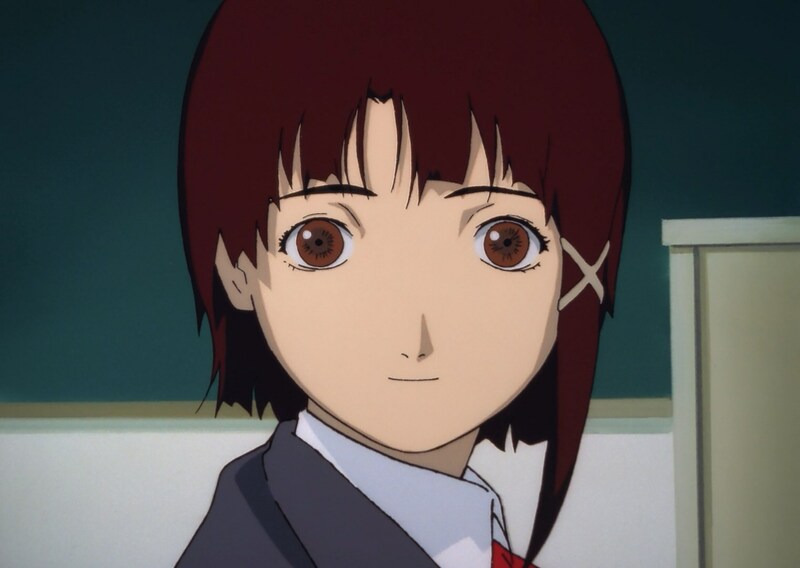 This relatively small cultural footprint makes Lain’s staying power arguably more impressive: its prescient worldbuilding, psychedelic presentation, and thematic density have been able to carry on the show’s relevance even despite a lack of penetration in the medium at large. Serial Experiments Lain’s unique mixture of aesthetic and narrative ideas arose from a highly collaborative production process between its key staff – a melting pot of influences that, combined, far exceeded the vision of any one of its contributors. The concept for Lain was born from the mind of producer Yasuyuki Ueda. A producer with a taste for riskier, conceptually interesting titles over safely marketable ones, he would develop a hands-on style that saw him work closely with his fellow staff members to get the most out of an intriguing premise. Ueda had conceptualized the story and setting for Lain, and wanted to realize them in the form of a mixed-media project; this would ultimately result in a video game, a manga, and a TV anime. He viewed the Lain project as “an experiment about the relationships between one individual self and the masses” that would play out in a different way in each medium (though each of them is more than capable of standing alone). Ueda, however, is a producer, not a creator – the self-described “salaryman” would need to assemble just the right team in order to help him bring his “experiments” to fruition. And he did so – quite fittingly – by first turning to the internet. Ueda found Yoshitoshi ABe – at the time an art student in college – through ABe’s personal website, and decided his unique art style conveyed exactly the feel his story needed. Lain would serve as ABe’s breakout hit, and ABe’s haunting concept art set the tone for the visual style of the series. His artwork for Lain is cold, dark, isolating; the lighting is harsh; there’s a distinct feeling of emptiness and foreboding. Lain’s eyes seem to stare into your very soul, while at the same time looking far past you. She’s lost, she’s afraid, she’s vulnerable. The world behind her seems to have a gravity of its own: pulling you in with deep perspective while its contents seem unstable or strewn about. With his original concept now visualized, Ueda needed a scenario writer for the game and the anime. For this, he contacted Chiaki Konaka, who had previously worked on the cyberpunk anime Armitage III. His experience in writing cyberpunk of course made him a perfect fit for Lain thematically, but beyond that experience, Konaka brought to the project his interests in technology, horror, psychedelia, and the occult. 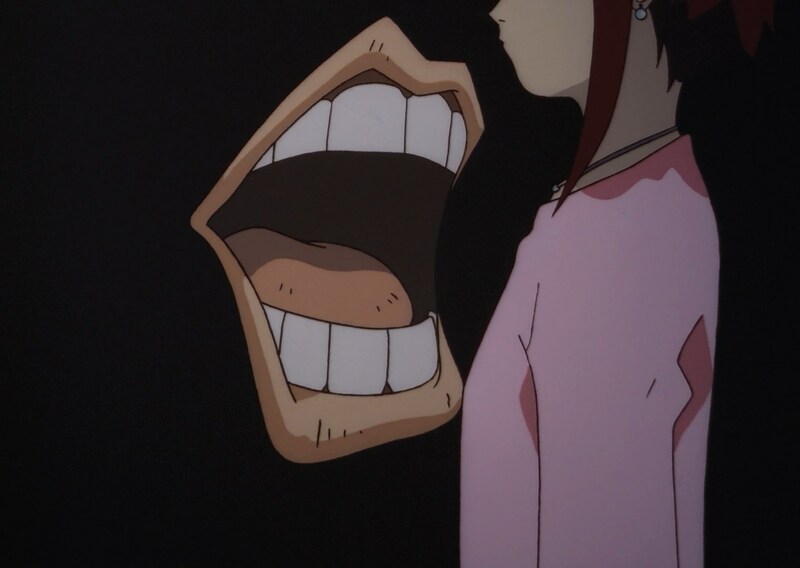 He would later become infamous for bringing Lovecraftian elements into the ostensibly kid-friendly Digimon franchise, and while he denies the influence of Lovecraft in his work on Lain, his love of horror – particularly existential horror – proved to be a key element of the Lain formula. Another (in)famous trend in Konaka’s work – one that was first brought to prominence in Lain – is his penchant for abstract, nonlinear storytelling. Many of the anime he would go on to write after Lain would be series that fan consensus admits are “confusing” or “weird”. Lain was the first opportunity he got to really flex those muscles in a major project, and flex them he did – Lain’s reputation for impenetrability is largely the result of his experimental scenario-writing approach. It is also his dense, heavily symbolic style that would give Lain its endless rewatchability – its ability to continuously produce new perspectives or insights that you may not have considered before. 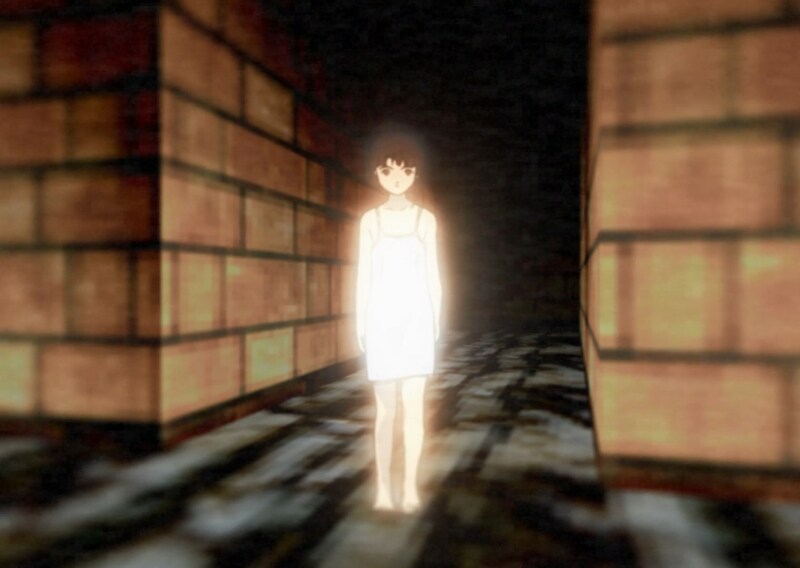 It’s easy to see how Lain’s visual presentation arose from his love of “emptiness” in animation; the show is all but defined by negative space – both physical and temporal. It’s filled with long, barren takes that build uneasiness or showcase Lain’s feelings of isolation. Nakamura is the one behind the series’ splotchy red shadows, using the negative space to suggest not only emptiness, but also an omnipresent Wired world, just beneath the surface of our own. Despite producer Ueda’s belief that it would be too rooted in Japanese cultural and societal norms for Americans to understand, Lain acquired a dedicated cult following upon its release in the US. It tapped into the interests of not only anime fans, but also sci-fi and technology enthusiasts. Tech savvy university students were building their own computers and had access to cutting edge internet connectivity, so seeing Lain assemble her own absurdly impressive rig and assimilate herself into the world of the Wired was exceedingly relatable and relevant to them. The sci-fi conspiracy element appealed to a viewing public obsessed with the X-Files, and its themes of transhumanism and identity in the world of tomorrow (well, the present) captured the interest of the geekdom that fell in love with the cyberpunk boom of the 80s and 90s. Additionally, Lain’s bizarre presentation and nonlinear storytelling encouraged viewers to come to their own conclusions about the plot points and messages of the series, prompting a culture of discussion and analysis to form around the series. This reputation for weirdness and the visibility granted by the in-depth discussion led many to check out the series to see what it was all about and share their own interpretations. In an anime fandom still riding on the impact of Evangelion, Lain served well as another puzzle for these analytically-minded fans to unpack. Even today, it’s often recommended by word-of-mouth as one of the weirdest and most interesting anime that you *have* to check out. Perhaps what Ueda failed to account for in thinking that Western fans would struggle to understand Lain, was how strongly the series would appeal to the niche but dedicated cyberpunk fanbase. A genre already marinated in an unusually high volume of Japanese flavors, cyberpunk was building in popularity throughout the 80s and 90s, on its way to reach perhaps the summit of its popularity with The Matrix in 1999. Lain – with its heavy focus on the internet, near-future dystopia, and questions about human consciousness – frequently trod thematic and aesthetic paths that had been laid by cyberpunk novels and films before it, even as it blazed its own trail alongside them. Interestingly, Konaka has said in an interview that Lain was intended from the beginning not to be cyberpunk, which I really wish he had elaborated on because it ticks so many cyberpunk boxes that I have to wonder what he considers not-cyberpunk about it. So with that said, how exactly DOES Lain fit in with the trappings of the genre? Lain’s focus on networks and virtual reality strongly evokes the thematic interests of Western cyberpunk literature at the time, but its presentation of and approach to these themes more closely resembles the experimental scene of Japanese live-action cyberpunk – films like Tetsuo the Iron Man. In place of megacorporations, hard-boiled hacker/detective trappings, and a conflict whose stakes and criticism tend towards societal issues; these films portray the effects of unchecked technological advancement and transhumanism on individual humans, who undergo horrific bodily transformations as they slowly become more metal than flesh. In Lain, this transformation happens virtually and mentally more than physically (though antagonist Masami Eiri does undergo a pretty monstrous physical transformation at the end of the series). Lain’s mind is what becomes entangled in the Wired, metamorphizing into an unrecognizable state that horrifies her and the people around her. Rather than a machine, we find that she has become a program. It’s interesting to note that throughout the 80s and 90s, cyberpunk anime seemed to have a much higher prominence of female leads than its counterparts in literature and live-action film, and Lain follows in that tradition. Bubblegum Crisis, Battle Angel Alita, Black Magic M-66, Dominion Tank Police, Appleseed, Armitage III, Ghost in the Shell – maybe it was mostly just Masamune Shirow’s doing, but anime certainly approached the genre differently from its contemporaries in this way (though writing and production were still heavily dominated by men, so this doesn’t really mean much in terms of the presence of a female perspective). But that’s a topic for a whole other essay that I’m ill-equipped to write. After the iconic opening theme, every episode of Lain begins by treating us to a hazy, jumbled audiovisual collage of Shibuya – the district that inspired pioneering sci-fi author William Gibson to proclaim that “Modern Japan simply was cyberpunk.” We see the district’s famous crosswalk: an intersection where people come together in vast numbers, only to walk past each other; a place that brings people closer physically, but makes no actual connections between them. A claustrophobic array of glaring lights and indistinct human shadows fades in and out of focus against a sickly green-and-purple backdrop of towering, neon-lined skyscrapers and the series’s ever-present humming powerlines, blinding us with information that we can process only as noise. The sounds of cars and voices and electricity blur together into a distorted whine to underscore the scene. It’s an oppressive, disorienting start to an episode, that paints the world as unstable, detached from reality. Daytime is no better: in Nakamura’s “empty” style (and in part an artifact of early analog-digital compositing), much of what we see is drowned in white light and long shadows – shadows laced with traces of the Wired world seeping through. This is the Shibuya to which Lain lays claim as the “real world”. As the series progresses we see it distorted by fog, by static, by drugs, by spectres, by virtual overlays, as the wall between it and the Wired begins to degrade. On the other side of the murmuring powerlines and simmering shadows lies the Wired, realized with psychedelic aplomb. It is visualized by a spinning kaleidoscope of tie-dyed CG imagery, Jean-Luc-Godard-inspired on-screen typography, unsettlingly incomplete or broken avatars, and heavily post-processed digital photography. It’s a place where consciousness takes on a mutated form, where reality becomes distorted, where rumors spread as fast as you can read them, where connections are faceless and impermanent. The psychedelic imagery of the Wired ties it to the “counterculture” philosophy of Timothy Leary (quite an… interesting fellow) and his 8-circuit model of consciousness – using this model to draw comparisons to the Wired as a layer of reality resting atop our own, accessible only via the “enhancement” of our base selves (drugs in Leary’s case, technology in Lain’s). Both present a means of communicating more directly with the collective will of humanity, but both demand in return a level of detachment from the Self. Altered states of consciousness are a key tool the show uses to explore the boundaries of the Self, and the Wired is the ultimate altered state (Leary himself called the PC “the LSD of the 90s”). The origins of the Wired are explored in episode 9, which Konaka has described as his personal favorite. It’s easy to understand why – the episode consists of Konaka having fun weaving the occult conspiracy of the Roswell incident, the early technological pioneers of the internet, the philosophical ideas of collective memory, and the psychedelic postulations of a multi-layered model of consciousness into a gleefully hokey mockumentary whose pseudoscientific conspiracy-laden mumbo-jumbo laid a foundation upon which Lain’s staff could speculate about the developing medium of the world wide web to develop their ideas about communication in an increasingly connected society. It’s like a cornucopia of Konaka’s personal interests all mashed together into one of the most unique episodes of an already unique series. Lain was made in a time when the internet as we know it was young, and its future was yet undetermined. In imagining a version of this internet that was more intimately tied to the world outside, its creators were able to raise issues that have only become more relevant as the web has become more pervasive in our lives. Just as the Wired oozes from the very shadows of Lain’s world, so too are we unable to escape from its omnipresent grasp in our own world. Many of the problems the internet has brought us are the same ones that the Wired has brought to Lain’s world. Halls of disembodied mouths spread rumors, misconceptions, and conspiracies into the void, speaking to everyone and no one all at once. Alice’s private fantasies and thoughts are leaked and spread across the internet, and she feels the heat of this cyberbullying continue even away from the computer. Lain (despite having noble intentions) tries to erase this problem by essentially gaslighting her, “convincing” everyone around her that this traumatic event never happened while Alice undergoes a crisis of identity about the reality of her experience. Some people become so engrossed in their lives online that they begin to view reality as unnecessary. Lain herself takes on an entirely unrecognizable personality on the Wired; a personality that she hates but doesn’t know how to escape. She is monitored all the while by mysterious men in black working for an even more mysterious employer for equally mysterious purposes. Children are farmed into something of a botnet by a shadowy group manipulating the holes in a protocol nobody fully understands for their own cryptic ends. An anonymous group of self-aggrandizing hackers harass and even incite physical harm upon people in the real world. The “cheshire cat,” while likely just intended to be an Alice in Wonderland reference, ends up being one of the funniest visual metaphors for mansplaining I’ve ever seen. Self-driving, Wired-connected cars drive into crowds after being hacked into via their web connection. “Gods” of the Wired compete for followers and for control of the mediums of communication. One such “god” speaks of his grand vision for “connecting everyone” in the world by subjecting them without consent to a platform that is as much under his power as it is out of his control. In addition to its criticism of the harvesting of godlike power from the very consciousness of the masses, Lain also takes issue with the unchecked advancement of technology without ethical oversight. While Eiri may have crafted a technological marvel by connecting Protocol 7 to the resonance of the earth, and indeed may have effected an advancement in human evolution, this advancement carries a heavy association with death, an invasion of one’s private headspace, and a forceful imposition upon an unsuspecting public (among other glaring practical and ethical issues). It’s a technology that the world was not ready for – may never be ready for. But once it’s out there, it’s out there – it’s too late for an ethics evaluation. In the end, Lain concludes that a preferable world would be one in which Protocol 7 was never realized in this form. Barring the now amusingly vintage technology (though it did have the prescience to have Lain and her classmates make heavy use of smart phones, years before they really caught on), Lain is a show that easily could have been made today – it reflects vague anxieties of the 90s that have since become more concrete and commonplace. The dangers of a world that has become Extremely Online. Along with its unusual presentation and remarkable technological prescience, another source of Lain’s continued relevance lies in its evergreen thematic material. Lain was created to be a story about “the relationship between the self and the world”. 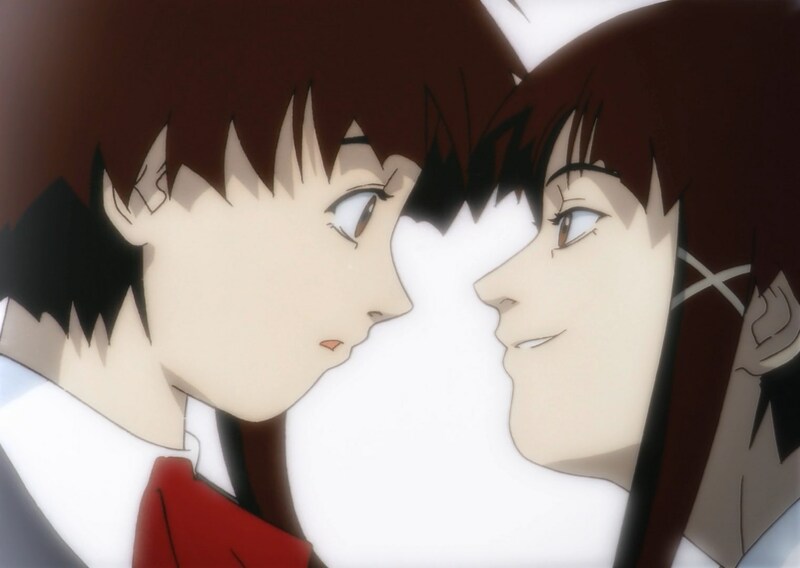 From her initial state of utter isolation to a level of almost subconscious connection to everyone on the planet, we follow Lain on a journey through the many layers of this relationship. And along the way, the show pokes and prods at the roots of our connection to each other – our collective understanding of reality – in order to explore just how squishy these foundations can really be. The audiovisually masterful first episode is a suffocating exemplification of loneliness. The world moves around Lain, a hostile blur of harshly-colored shapes and indistinct noise, an existential nightmare, a world in which she is physically but not meaningfully present. She can hardly approach her own family without the protection of her bear suit. This is the self in isolation, disconnected from the world: Lain is vulnerable, afraid, overwhelmed and overpowered by a hustling collective that far exceeds her understanding and has little care for her. She is so crushed by her surroundings that a degree of horror underlies existence itself. As she begins to forge connections in the world around her – with her friends, in Cyberia, in the Wired – Lain begins also to forge an identity for herself, but to her shock, it is fragmented. The Lain we follow is softspoken, uncertain, shy; but we see a more wild, aggressive Lain appear in Cyberia, we see her act more assertively in the Wired, and eventually we see a form of her that has become straight-up malicious. Without a firm grounding for herself, Lain has no control over her identity. It takes the shape of whatever her surroundings mold it to be. She begins to find sides of herself that she doesn’t like, and people like Taro in Cyberia foster expectations of her that don’t reflect how she really is (or at least how she sees herself). 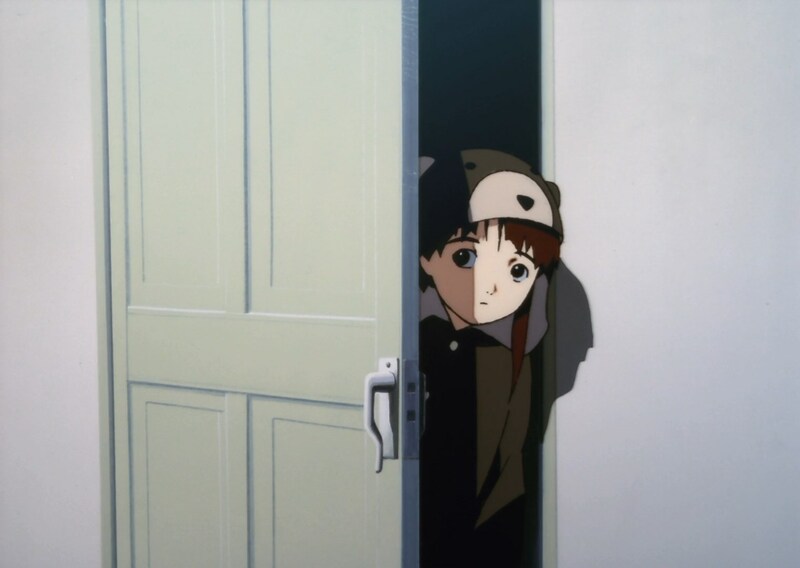 Now, Lain’s specific crisis of identity is technically caused by the Knights deploying actual copies of her to do their bidding, but her experience absolutely reflects a real expression of the pressure of conflicting expectations placed upon her identity from different social circles, and of the disconnect between her own view of her self as compared to that of the people around her. Identity is ever-changing; it is constantly being reshaped by other identities and by new ideas. And the expression of that identity is every bit as transient, always changing in response to its immediate surroundings. 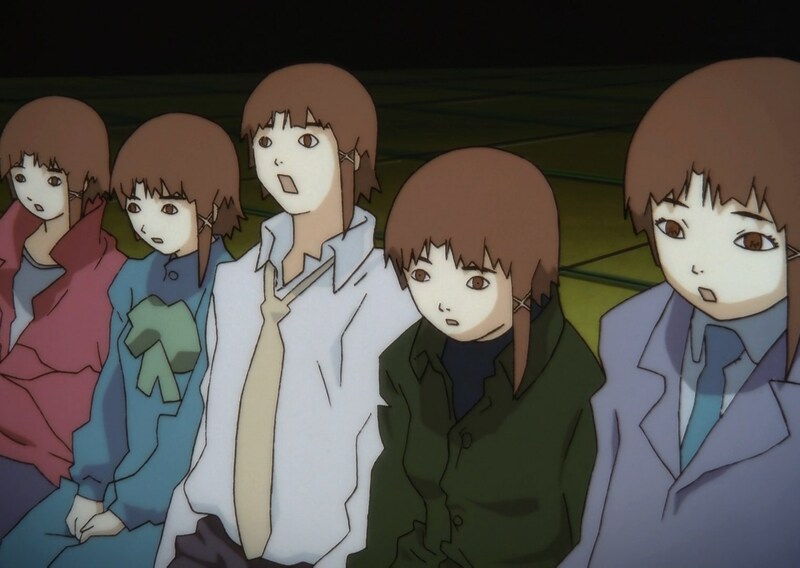 Lain’s friends will always be shown a different side of Lain than the Wired will see. Y’know, let’s go back to the Knights for a second, because a key point in this is that sometimes there actually are people who seek to influence others’ identities for their own purposes. The aim may be to affect self-perception: to convince someone that they possess some inadequacy in order to sell them a product, to convince someone that they hold a certain value in order to sell them an ideology or call to action. It may be to affect society’s (or at least some group’s) perception of a person: to manufacture an identity for someone in order to idolize or demonize them in the eyes of the masses. Not all mutability of identity is accidental. The squishiness can be – and is constantly being – exploited. While it’s not possible to avoid the mutation of your identity, it is possible to guide this mutation by increasing your self-awareness: cultivating an understanding of who you are, and being aware of the ways in which you’re affected by the world around you. As she becomes more comfortable with herself and her place in the world, Lain is able to gain more control over her selves, eventually reaching the point where she’s able to manipulate the Wired to meet her own ends. In self-actualizing, Lain comes to realize the power she has over her surroundings, and fights back against the Knights and Eiri, who she now knows sought to control her against her will. But even in her most ascendant form, at the height of her connectedness and conviction, she is plagued by uncertainty. On her way there, she’s hurt the person closest to her. Her best friend barely recognizes her anymore. Is this really what she wanted? Is this really who she is? Is she really doing the right thing by her? The journey of self-discovery is a journey with no end. In a world of unlimited possibility, of countless interwoven parts, there will always be something new to refine the way we view ourselves. There will always be a new answer to these questions; every time we ask them. While people maintain their connection to each other and to reality from moment to moment by way of their own perspective, a crucial element of forming and maintaining that perspective is that of memory. Although we have numerous tools to try to solidify it – most notably, written records – human memory is inherently a foggy recollection of our already imperfect and incomplete perception. Our identities are built in large part on our accumulation of memories, and the squishy, ever-malleable nature of these memories serves only to add even more flux to the squishiness Lain has already poked about with in regards to identity. Further cementing the conflation of memory with identity, the series reveals that Eiri has somehow uploaded his memories onto the Wired, resulting in an identity with no need for a body. To Eiri, it is his memories that make up who he is. There is no need for the body, it is only a shell. While Lain herself ultimately rejects this concept (and the idea of “uploading memories” is a bit laughable given the imprecise nature of memory to begin with), it does accurately point to our memories as an integral source of how we maintain our identity over time – the way we define ourselves is intimately linked with what we remember about ourselves and what we have experienced. And it puts forward that the transition of memory to a more permanent record is the only way that identity can carry on after death. These records form the source of humanity’s collective memory. Oral records, written records, electronic records – the words of people long since passed are able to carry forward to the present with the aid of these devices. It’s the primary connection we have to the identities of the dead, of those who no longer have bodies. Death, through this lens, becomes a transfer of identity from the individual’s memory to the collective memory. There are so many people that we can claim to know because some facet of their identity has been carried forward by the collective memory, and even more people that we have collectively forgotten because they were never recorded there. Collective memory is an enormous, ever-growing body of knowledge, feeling, and memory that no one person could hope to fully understand in their lifetime. And it exists beyond yet another level of indirection: it is the imperfect recording of the imperfect recollection of the imperfect perception of events. But with enough different perspectives recorded in this way, we can compile them to gain a picture that is MORE complete. And if nothing else, isn’t that what the Wired is good for? What we’re discovering instead, as the internet enables us to write more easily to that collective record of human experience, is that the sheer quantity of voices can have the opposite effect of blurring our perceived reality. If our understanding of reality is based on our memory, then how does that record get filled in? Who is able to change it, and how would it affect the world if it was written differently? If parts were left out, if parts were added? 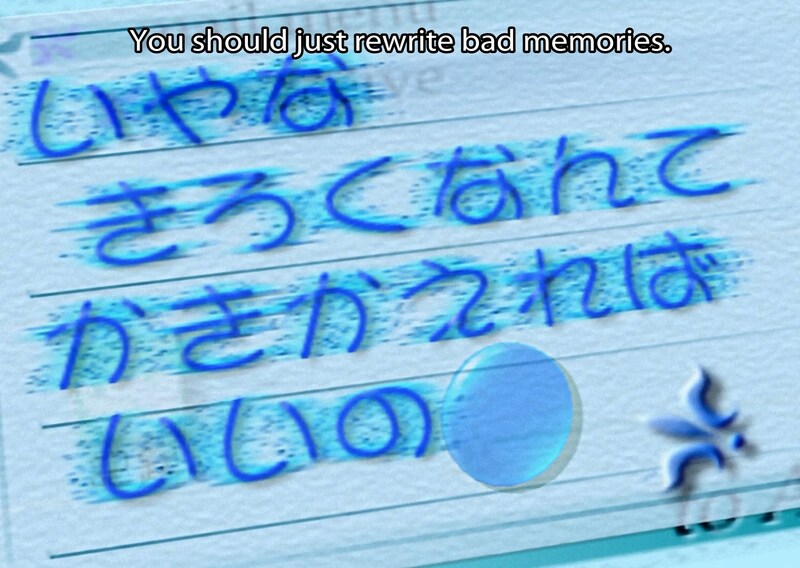 In Eiri’s Wired, Lain has the ability to overwrite the entirety of collective memory, and she does so several times. In doing so, she’s able to effectively change what we think of as real. The alien that appears in episode 9 is a clever little nod to this. The Roswell “incident” is an example of a hoax that achieved a level of perceived reality by being so heavily embedded in the collective unconscious, and the alien is symbolic of the power of the collective unconscious to determine our view of reality in this way. A part of me wants to believe that Lain, in her godlike power, willed the alien into actual existence temporarily as she researched the incident, unknowingly rewriting the record as she went. This isn’t to say that reality is entirely a construction of memory – Lain’s reset in the final episode is as much a fantasy, a plot device, as Eiri’s literal “merging” of the Wired with reality. But the notion of an objective reality is made squishy by the fact that memory is the only interface by which we can interact with a reality that has already happened. The farther into the past something gets, the more time chaos has to go to work, the more difficult it becomes to draw conclusions from the physical record, and the more reliant we become on the record of our memory to understand it. Eventually, any semblance of “objective” truth becomes virtually unknowable, and we have only our memory to draw on – memory and reality, with time, become effectively one and the same. It’s a problematic system for sure: if the record of something in our memory is incomplete or misleading, it can skew the way we understand its effects, or understand related events in the future. Additionally, the presence of only one perspective in the record introduces an illusion of certainty, despite being less complete and more easily manipulated (intentionally or not), while multiple conflicting perspective introduce uncertainty, despite offering a more complete picture and more opportunity for identifying fabrication. It’s an interesting paradox – how the more connected we’ve gotten, the more accurate the record has become, but the harder it’s become to trust it. History is made by those who write it, and the internet has given us an unprecedented opportunity to be the ones to help write it. But with that comes an equally pressing need to be conscious of which memories – whose memories – we choose to canonize into reality. As I said in my introduction, I pick up on something new every time I watch Lain. And on this, my 20th-anniversary rewatch, that something was Alice. Alice is the only one in Lain’s world who seems to genuinely care about her, even among her friends, and she’s the only one that Lain can open up to. She sees how lonely Lain is, and regularly invites her to spend time together. She reaches out, worried for Lain, as Lain isolates herself from her friends, falling further and further out of touch in favor of the Wired. She puts herself in harm’s way to keep Lain safe from the Accela-addled shooter at the club, and feels terrible for getting her into that situation to begin with. She believes Lain whenever terrible rumors start to spread that she doesn’t understand. She defends Lain against these accusations when even her other friends lash out at her for them, even when the rumors imply that Lain betrayed her trust. Even as reality crumbles around her, faced with unimaginable psychological horrors, Alice is there for Lain. 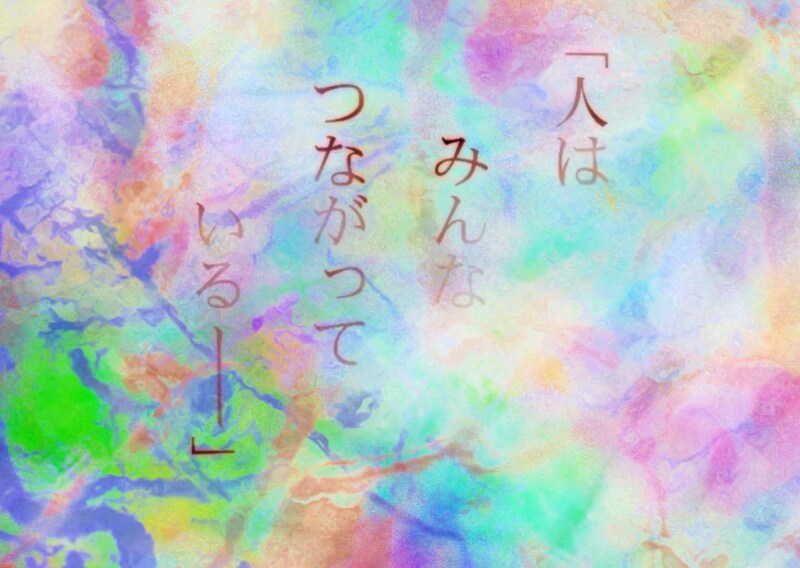 Konaka mentioned in an interview that while Lain was the viewpoint character throughout the entirety of the series, its emotional core shifts – somewhere around the midway point – from her to Alice. As Lain’s own involvement in the series becomes more complex, more abstract, it’s her relationship with Alice that keeps the story grounded in its empathetic roots. We see the ways her transformation hurts her friend, and how this hurts her in turn. Lain tries time after time to find a way use her godlike powers to undo the pain she’s caused Alice, and when she finds out that the way she had done so – her violations of Alice’s agency and identity – has been at the core of Alice’s suffering all along, she wanted nothing more than to turn back time and let Alice live her own life. If Lain is a program after all (one of the many things the series leaves somewhat ambiguous), then it’s the love she discovers for Alice that causes her to reject her programming and reverse the merging of the Wired with reality. The connection she felt with Alice was so much stronger than any she had been able to gain through the Wired. Alice is the beating heart of Serial Experiments Lain. Lain is a god-being with the power to manipulate the perception of truth in the collective subconscious. And she has recognized that a true bond with another human (Alice) is far more meaningful than a tenuous “connection” with all of humanity; she has also seen the ways in which the overconnectedness, the alienation of the wired can eat away at those bonds. So what does she do? She uses her power to rewrite reality, and re-differentiates the collective and individual consciousness by removing herself from the world – without the alienation, the two-facedness, the rumors and harassment, the truth distortion, the seductive and godly power that Lain embodied, many of the series’ horrors could be averted. In the twenty years since Lain’s original airing, humanity has undoubtedly become more connected. With that connectedness, we’ve seen these same horrors manifest themselves in our own world. It feels like a futile plea at this point, but as our world becomes increasingly Wired, we need to seriously reconsider the systems that connect us: we need to ensure that the systems we build are systems that create substantial, meaningful connections that encourage compassionate communication, and not those that exploit the critical mass of connectedness to accrue power from these communications and (knowingly or not) play god. We need to find love in these connections, a respect for not only our own “selves”, but the “selves” of the people we connect with. We need to love Lain, the girl, the human being; not the algorithm. It’s present day/present time. We can do better. So let’s all love Lain. But let’s do it like Alice, not like Eiri. This entry was posted in Review, Serial Experiments Lain and tagged #lain20, #lain20th, alice is the beating heart of serial experiments lain, and you don't seem to understand, despera when, i want to believe, let's all love lain, present day present time, so does this mean lain is about how mark zuckerberg should delete facebook?, the wired, who needs dialogue when you can say all you need to say using electronic droning sounds, ~SYMBOLISM~. Bookmark the permalink.